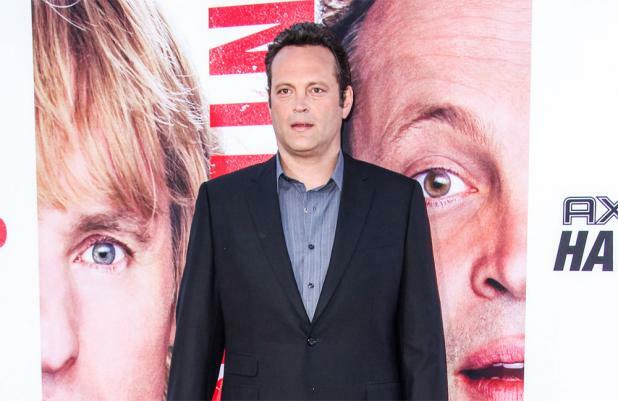 Vince Vaughn insists his new movie 'The Internship' is not an advert for Google. In the comedy film, the 43-year-old actor plays Billy McMahon who along with his friend Nick Campbell (Owen Wilson) carry out internships at the search engine giant after being laid off from their jobs as watch salesmen. Although Google is the backdrop for the movie, Vince - who acted as co-writer and co-producer as well as starring in the project - insists the company's input was limited but he was pleased they allowed him to use their name to give the film an identifiable backdrop. He told Australian newspaper The Age: "They didn't put up any money at all for the movie. Google thankfully had a sense of humour about themselves, and I didn't want to make us work at 'Snoogle' - you know, you want a place that's real - but it's ultimately just a backdrop. Yes, you get a peek behind the chocolate factory, but it's really about wanting to start over, and I wanted to pick an industry that authentically felt like there was a future there." Vince insists he didn't even get to try any of Google's new products or inventions - such as wearable computer Google Glass, which has a head mounted display for the user - despite including the company in his film. He added: "I went to a dinner party with some of the Google guys and they had the Google Glass on and it was the first I'd seen it, but no, we didn't get any Google Glass or anything like that. They didn't give us anything." Google founder Sergey Brin has a brief cameo in the movie, and they are various references to the corporation's more unusual policies, such as the bikes they provide workers and the campus-style set-up of their headquarters.